This packaging design is a concept I created on a hot summer day. The design reflects its Nordic roots in a clean yet refined way. Tasteful and clear in its visuals. Easy to stack and display in interesting and beautiful ways in retail shops. This design is creative, clean, bold, attractive and effective. 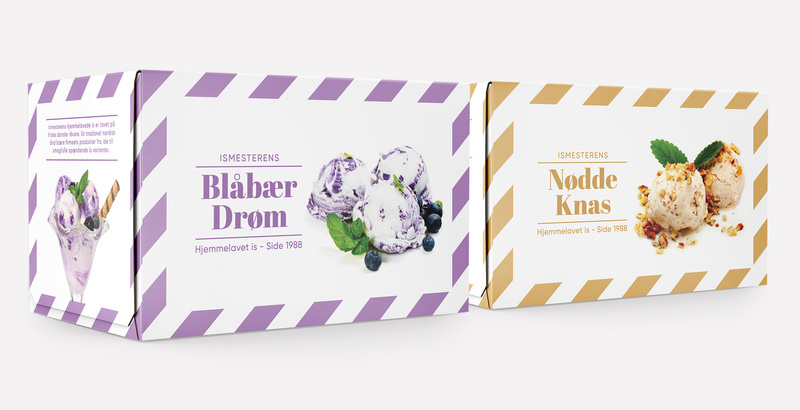 Ismesterne homemade ice cream is made using only fresh Danish raw ingredients. 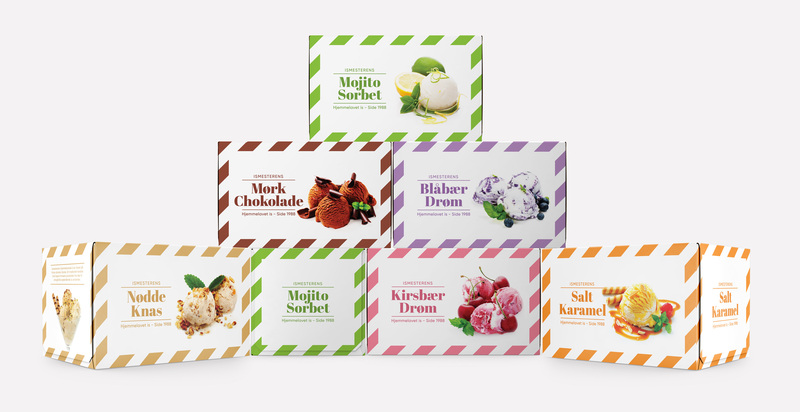 A traditional Nordic spirit carries the company's products from ideas to tasteful, exciting ice cream varieties.